A conservatory is a cheaper and easier alternative to extending your living space, without going through the long winded process of investing in a home extension. The best types of conservatory for your home vary depending on the kind of residence you have, certain types of conservatory can compliment your home and maximise the amount of living space you have to implement. 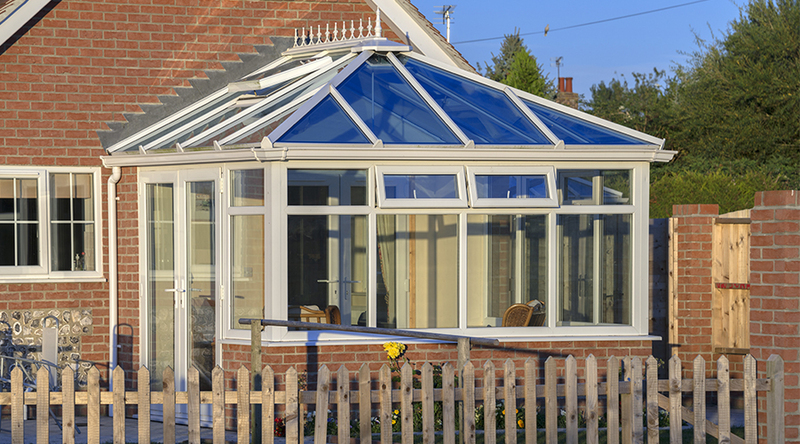 Why Are Conservatories Good For Your Home? Conservatories can add (depending on the quality of it) up to 20% value onto your property, although to add serious value to your home the conservatory must be of good value. Poorly built conservatories can actually steer potential buyers away from your home, so if this is the case and you wish to improve the value of your home then make sure to find a trusted company to construct your conservatory. There are a variety of Victorian-style conservatories available, and they are the most popular conservatory type amongst our variated customer base. This stunning conservatory is based on a gothic architecture style, and its elegant modelling provides a traditional aroma. This conservatory is gorgeous and can compliment any house, from a small semi-detached to a larger house with acres of land. Victorian conservatories are widely spacious with a boy format; this creates a gorgeous view of your garden, and the finials cresting and decorative glass channel the Victorian grace. This type of conservatory is ideal for periodic homes and can add a traditional feel to your residence. The Victorian era was the true blossoming point of the Victorian conservatory, and it slowly became a British trend to invest in a victorian conservatory to add tradition to your house. Due to the Victorians love of exotic plants, these plants need a large amount of sunlight to flourish, and by investing in one of these conservatories, these plants have a great deal more of sunlight available to them, as opposed to the average room in the house. Edwardian and Georgian conservatories are always mixed up with the different names. However, these conservatories are exactly the same thing except some people have the tendency to call it one or the other. This conservatory was designed to optimise floor space so is ideal for a room that requires a maximum amount of furniture, the Edwardian conservatory is perfect for modern residences, and the bold lines, square body and spaciousness look lovely on contemporary homes. The Edwardian conservatories roof can be altered to fit any house type, and the frame colour can be adjusted to match the overall theme of your home. Edwardian conservatories are often paired with patios and make a gorgeous summer setting for the warm evenings. With it’s four sided roof, this conservatory allows additional headroom, and vast amounts of natural light are allowed to flood in which prevents additional energy bills. Overall these conservatories look lovely with newer, more modern homes due to its bold rigid outer shape. A Gable conservatory is a rectangular shape, much similar to the form of a Georgian conservatory. This allows extra room for furnishings and is ideal for those interested in having a conservatory for extra living space purposes. The Gable conservatory features a cleverly designed vertical roof which maximises the amount of natural light that flows in, it also creates extra height and is often described as the conservatory that radiates british heritage, making it perfect for timely homes. These conservatories are one of the leading choices for conservatories in Milton Keynes due to the fact it is easily edited and can be designed to specific requirements. The most popular feature of a gable conservatory is the “sunburst effect” which is when the front of the conservatory looks like the rising sun. The lean to conservatory is widely opted for on modern buildings and is often used for purposes such as breakfast bars, this simple design works like the Edwardian conservatory, and its bold outline makes it ideal for modern homes. It’s rectangular floor base makes it useful for a variety of rooms; such as a dining room, kitchen or play area. The angled roof allows extra sunlight, and it is also one of the most cost effective out of the options for conservatories. These conservatories typically look better on smaller properties but also look lovely on bungalows or cottages due to the fact the conservatory fits well with the low eaves. Lean to conservatories are often used in sunnier parts of the UK or other areas around the world; this is because the particular shape and layout of this conservatory maximise the amount of light that is available to the user. A lot of people use these conservatories as greenhouses or indoor gardens to maximise the growth of their produce or flowers. The sides of your lean to conservatory can either be full glass panes or can be Upvc – infill panels depending on the look you are trying to achieve. Not to mention the fact that brickwork dwarf walls and pillars can be incorporated into your design. Overall conservatories are an excellent addition to your home, whether they be for decorative purposes, or to add extra living space to your property. And the greatest part is they can be created into whatever you wish, perhaps not a bedroom ( who would get sleep in a room based on sunlight) but they make beautiful airy kitchens or living rooms, or just a place to relax in the warm summer evenings.  Either way, conservatories are a well worth the investment and can be added to compliment the design, age, and layout of your property, and at Crown Windows, we aim to design and fit the perfect conservatory for you, no matter how difficult the task or how picky the design may be. With our vast experience of fitting conservatories in Milton Keynes, you are ensured not only high-quality results but also excellent customer service, as we pride ourselves on the happiness and positive feedback we receive from our customers. If this article helped then why not take a look at the rest of our website for some of the other services we have to offer.